Despite being nowhere near the official release date, it would seem that retailers have jumped the gun. We reported earlier that a retailer in China has started to list Intel’s next generation of chipset-based motherboards, but now this has spread to EMEA, APAC and North America. 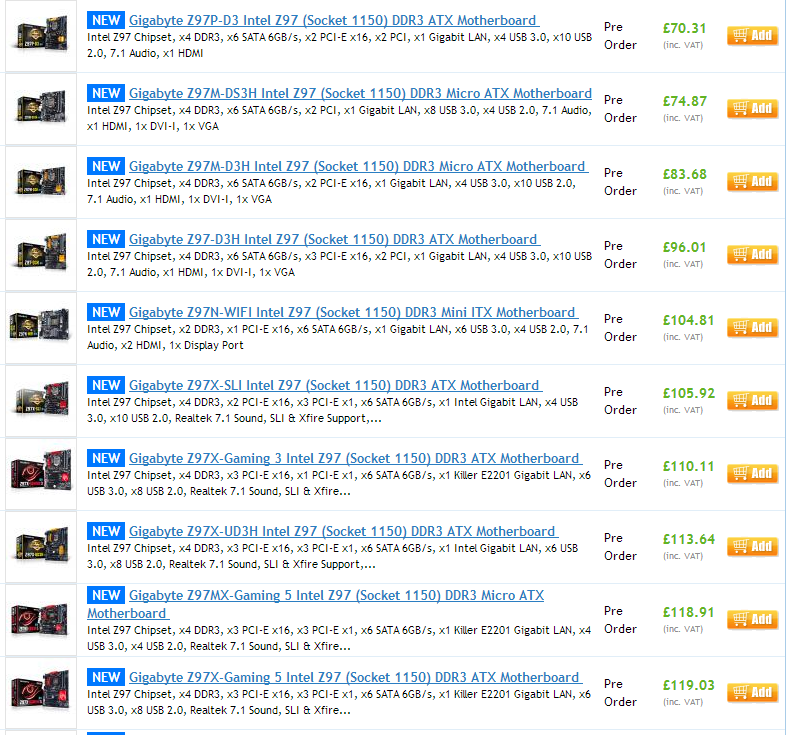 The lists include detailed un-doctored images of each motherboard, with pricing. Each retailer seems to be doing it differently, for example Newegg state that they have models ‘in stock’, whereas Aria.co.uk are listing their models for pre-order. 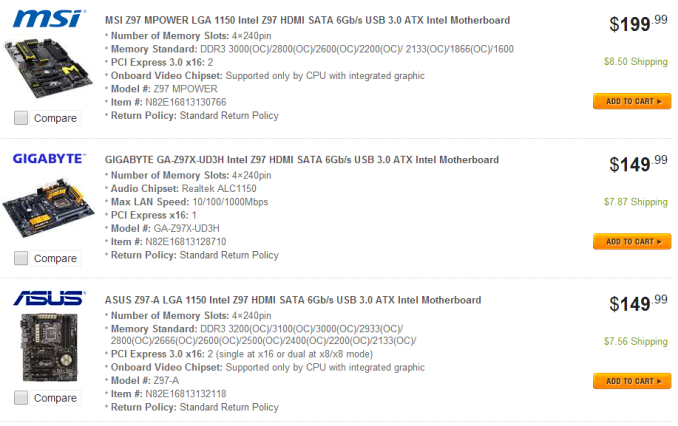 Interesting enough, these are all GIGABYTE models, and the naming of these coincides with what we believe to be MSI’s product range as well, perhaps confusing the matter. Notice that ASRock seem missing from these lists. It would be interesting to see if the retailers will actually ship today if you ordered. Those specifically with ‘pre-order’ mentioned might wait until the launch date, but some seem to be freely listing ‘in-stock’. I have a feeling that other retailers in each of these regions might start listing their stock in response. 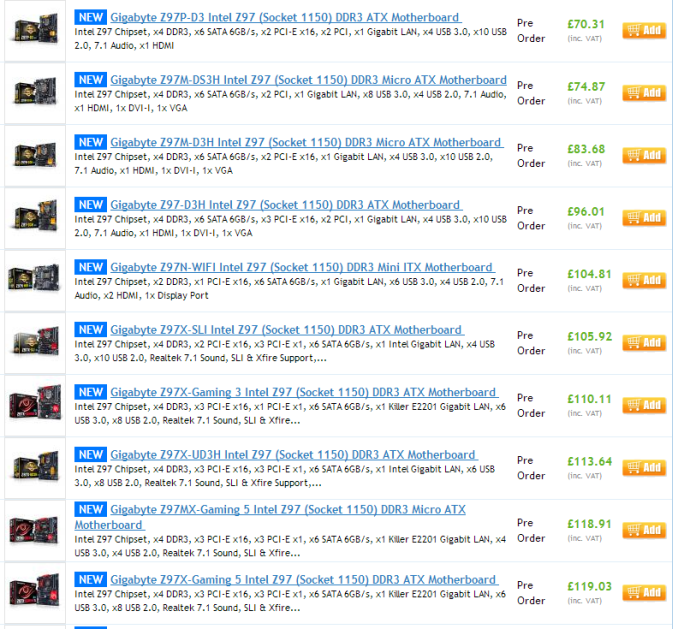 Additional: It would seem that motherboard manufacturers are also starting to list all their specifications on their websites. 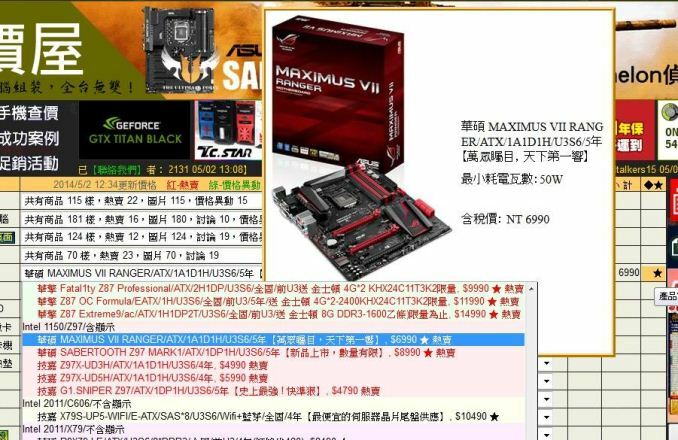 Users can see the whole range for ASUS today, and no doubt GIGABYTE, ASRock and MSI will follow suit. You go on mentioning europe and only post prices £, but you leave out €. Great job at showing your anglo-american pride there. EURO-land is half a billion people and just as big as an audience as the US and it's 51st state. Geizhals is a german site, listing all prices in Euro. They even linked it. There is only so much space here, you don't see me complaining that they're not posting prices in Canadian dollars.